The Hague lies in the province of Zuid-Holland, on the coast. It is approximately 50 kilometres from Amsterdam, and 20 kilometres from Rotterdam. The Hague has a few railway stations, offering optimum connections with other cities. For a visit to the city centre, take the train to Den Haag Centraal; the centre is then only a short distance by tram. You could also walk, of course, along the Buitenhof road, and reach the centre in 15 minutes. The most common form of public transport in The Hague is the tram, with which it is very easy to reach all the attractions. The Hague is a real cityscape but also has many parks and nature areas. Within the boundaries of the municipality, there is a vast unspoilt dune area with a wide, natural sandy beach, almost ten kilometres in length. Escher in het Paleis museum, where you can view almost all the works by the world-famous graphic artist M.C. Escher. Escher in het Paleis is not just a traditional museum, but an exciting interactive experience. The Hague is a treasure trove of exceptional building projects, and most certainly to be recommended for lovers of architecture! The most spectacular building in the Binnenhof is undoubtedly the Ridderzaal, or Knight’s Hall. This monumental building dates from the 13th and 14th century and was the castle of the Counts of Holland. However, the current facade was built at the end of the last century. The Second Chamber, the seat of the government, is a combination of old and new architecture. The ‘little tower’ serves as the office of the Prime Minister of the Netherlands. 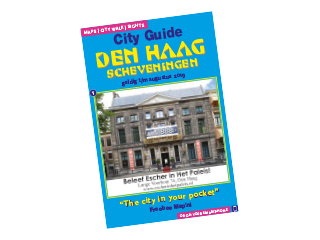 To visit the best places in The Hague, you can go on the city walk from the Freebee Map, that is in the brochure which you can order via this website by means of an SMS service. Then you are sure to take in all that The Hague has to offer. Just as the city of The Hague itself, the shops offer a ‘royal’ experience. In addition to the main shopping street, there are many charming and authentic shopping streets, as well as those special shops, individually run. Shops with that real character! The Spuistraat is a street with mainly shops from the familiar chains, with many clothing shops and shoe shops. Not far away is the Grote Marktstraat, where you will find the well-known department stores. The Haagsche Passage is an indoor shopping mall, more than 115 years old and the oldest shopping mall in the Netherlands. Here, you can buy such things as designer kitchen gadgets, chique ties and Haagse Hopjes candy. The streets around the Denneweg are renowned for their antique shops and art galleries. Hidden behind the Bijenkorf department store you will find a quaint shopping area, a reflection of the diverse and colourful society of The Hague, with shops such as Chinese, Turkish and African. For a delicious meal out in The Hague, there is a wide variety of choice, for a leisurely lunch or an enjoyable dinner. Whether your favourite is simple fare or haute cuisine, The Hague has it all. For children, there is plenty to do in The Hague and in the surrounding area. Madurodam is an experience for both young and old. It is a well-known miniature city, built on a scale of 1:25, reflecting an image of a Dutch city, with scale models of buildings from all over the Netherlands. Attraction parks such as Drievliet and Duinrell (Wassenaar) are also absolute favourites for a wonderful day out. For a good night out, The Hague also has a lot to offer. The lively nightlife in The Hague is mainly centred around the Hofvijver. At the Grote Markt square there are many cafés and restaurants, all in the one area. Scheveningen has numerous beach pavilions with a bar and discotheque in the evening hours. Parkpop in June in the Zuiderpark, with free open-air performances by famous national and international artists. For the actual dates, see the events calendar in the Freebee Map.